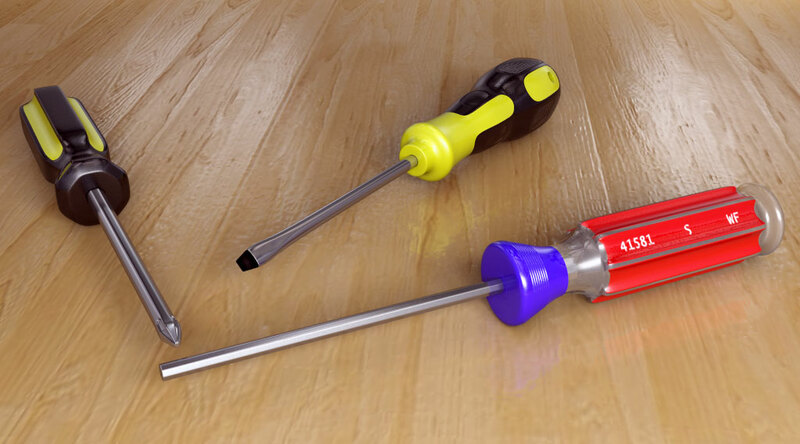 Screwdrivers belong between the objects which are used daily in our life and could be called common. 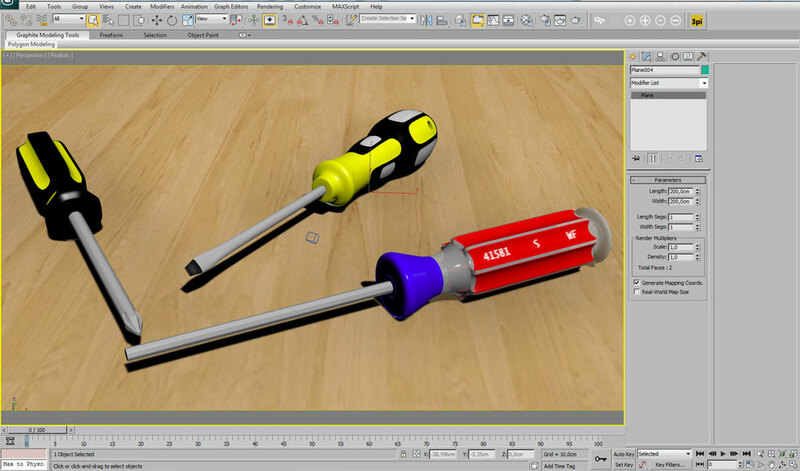 In this tutorial I decided to model three different types of screwdrivers where every single one has a different handle and a different tip. The objects are quite simple but they are ideal for modelling practice. At first we will place our reference images inside 3ds Max and prepare the environment for modelling. For proper rendering we will change the units with which we are working from generic one to centimetres. 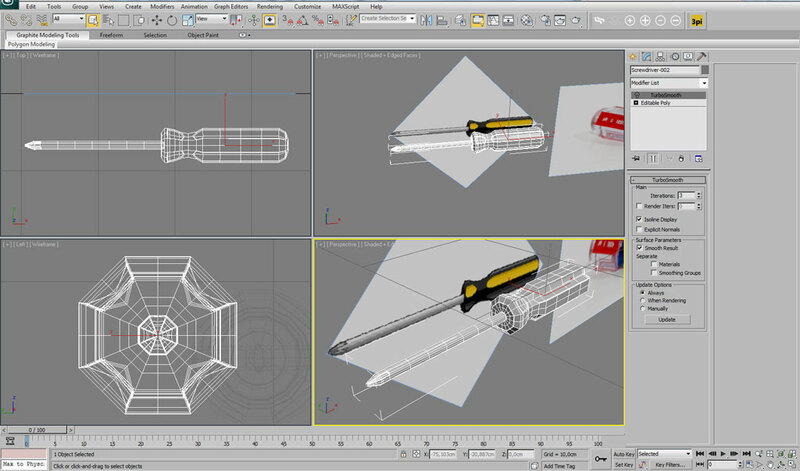 By all three screwdrivers we will start our modelling process from a primitive which will serve as a starting piece. In our case and because all screwdrivers have a cylindrical shape, our starting primitive is a simple cylinder with a small amount of sides. 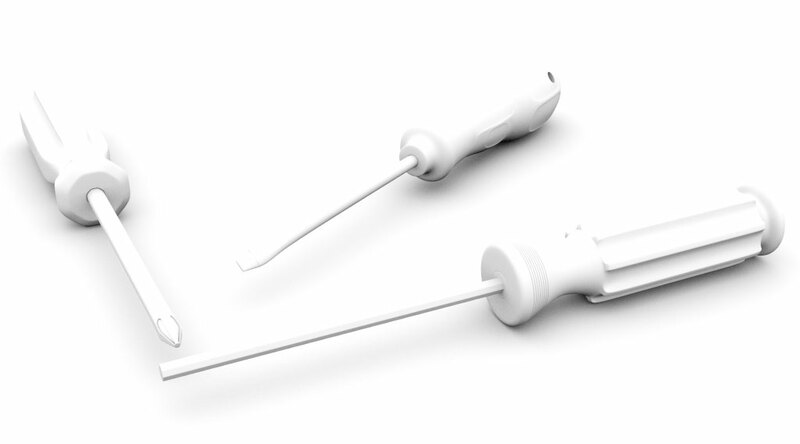 The small amount of sides will allows us to properly control the screwdriver shape and his details. 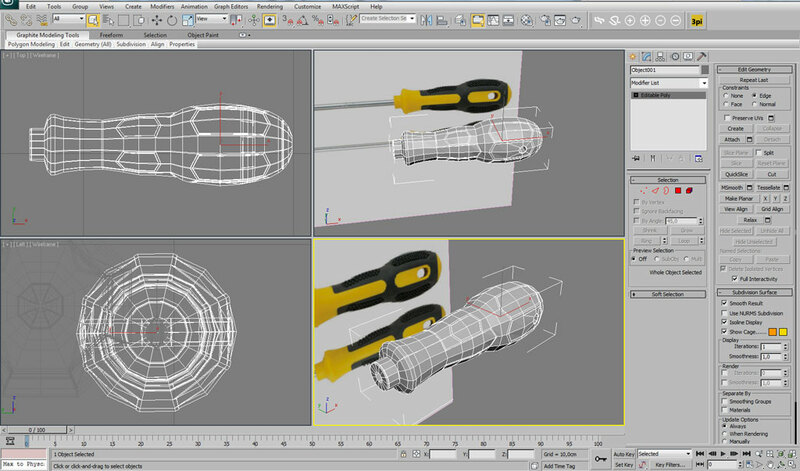 After fitting our primitive on our reference image we will convert the object to „editable poly“ and start using the editable-poly technique for modelling all details on our screwdriver. Using the functions such as loop, connect, extrude, bevel and similar we will achieve a smooth and identical model as on our reference images. Because our model is modelled from a cylinder with small amount of sides, at the end we will use a smoothing modifier to smooth our model. 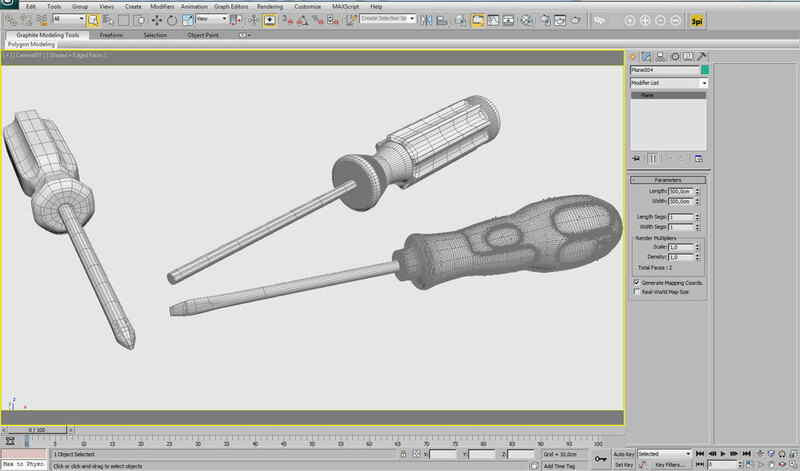 Step by step we will model all three screwdrivers using similar technique as used for the first one. For materials we will use the 3D-Sphere material library which you can download from the menu on the right side at 3D-Sphere and apply materials to our model. For rendering I will use Photometric Lights and MentalRay for realistic looking result. At the end together with the final render we will render also an Ambient & Occlusion map and do some postproduction in Photoshop. You can watch the tutorial below and if you have any questions, just write us.